Gano Forum nominated veteran politician Sultan Muhammad Mansur Ahmed took oath as a member of the 11th Jatiya Sangsad (JS) on Thursday morning. 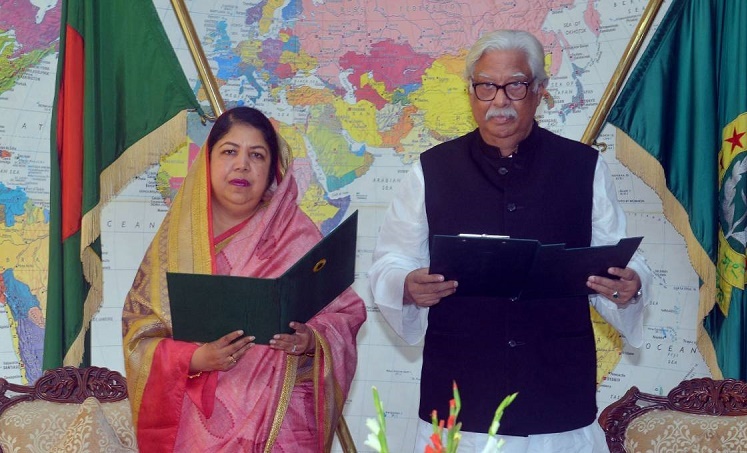 Speaker Dr Shirin Sharmin Chaudhury administered him oath at Jatiya Sangsad at 11 am. However, another MP-elect of the party Mokabbir Khan is yet to take oath, said a Gano Forum press release on Wednesday. According to the release, Khan will take oath later. On Sunday, the office of Speaker Dr Shirin Sharmin Chaudhury issued separate letters to the duo Gono Forum leaders inviting them to take oath. On March 2, the Gono Forum MPs-elect sent letters to the Speaker requesting her to arrange their oath-taking ceremony on March 7. Sultan Mansur, former vice-president of Dhaka University Central Students’ Union (DUCSU), was elected MP from Moulvibazar-2 constituency and Mokabbir Khan was from Sylhet-2 seat. Opposition alliance Jatiya Oikya Front, led by BNP and Gano Forum, secured eight seats in the December 30 national polls.